Contemporary businesses cannot afford to ignore the environments in which they operate. To navigate this vast and ever-changing landscape, businesses must keep a keen eye on the external factors that influence it. Customer behaviour, government regulatory and economic policy, competitor strategy and public opinion all impact on a firm’s success. The environmental scan report is an effort to identify these factors and propose solutions to the risks they pose. Submit your assignment in .docx or .pdf format only via the assessment link in Blackboard. The Learning Facilitator will provide feedback with reference to the criteria below via the Grade Centre in the LMS portal. Feedback can be viewed in My Grades. Examine the influence of the external environment on the organisation Limited understanding of the environmental factors influencing the chosen business. Neglects to subcategorise the environmental factors into the five categories of environmental influences. No references Identifies a proportion of the environmental factors influencing the chosen business; the largest influencers are named.Correctly subcategorises a majority of the factors discussed. Accesses relevant information to discuss and categorise environmental factors. Incomplete reference list. Identifies a majority of the environmental factors influencing the chosen business.Correctly subcategorises and explains all of the factors discussed. Accesses and correctly references relevant information to discuss and categorise environmental factors. Complete reference list. Correctly identifies all of the environmental factors influencing the chosen business. Correctly subcategorises and thoroughly explains all of the factors discussed. Accesses and correctly references relevant information to discuss and categorise environmental factors.Correct reference list. Not only identifies all environmental factors, provides insight and discussion on potential further environmental challenges faced by the business. Discusses the wider Australian business environment as well as the external environment of the chosen business to provide a linked picture of the complete external. environment of the chosen business. Mastery of concepts and application to new situations/further learning. Comprehensive reference list with all newpoints cited correctly. organisations Demonstrates no understanding of framework concepts relevant to the five external environment components. Demonstrates little understanding of strategies to respond to the external business environment by providing non-specific solutions to issues discussed in the report. Demonstrates correct and complete knowledge of strategies relevant to the business chosen, offers solutions to a range of issues presented in the case. Identifies the key issues in the external business environment and provides a correct strategy to deal with each. Identifies the key issues in the external business environment and provides a correct strategy to deal with each, as well as a thorough explanation and justification of each strategy, and a feasible method of implementation. 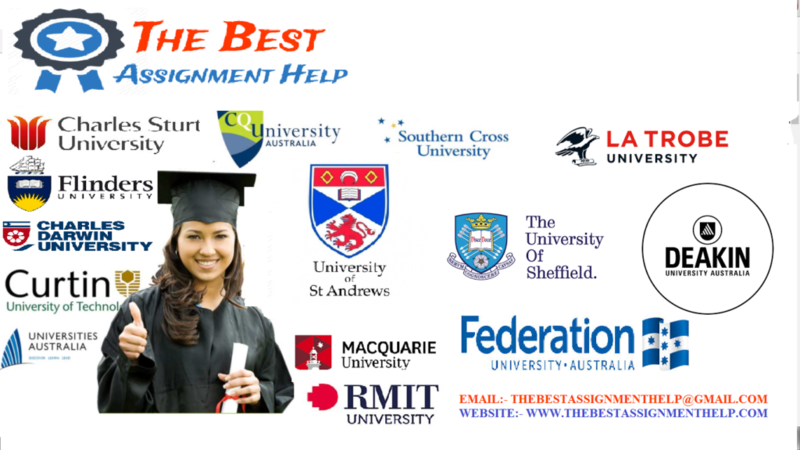 a) Research and relate industry specific factors to the organisation decision-making Fail to discuss the Australian industry specific factors related to business Broadly mentions industry factors relevant to the external business environment Researches and discusses a range of industry factors which contribute to the external business environment. Researches and discusses a range of industry factors which contribute to the external business environment. Ties these factors in with reference to the Australian/local business environment/context.References this information to develop decision making strategies. Researches and thoroughly discusses all industry specific factors which contribute to the external business environment. Ties these factors in with reference to the Australian/local business environment/context. Uses this information to developrelevant decision-making strategies. report are assessed Demonstrates inconsistent use of good quality, credible and relevant resources to support and develop ideas. Demonstrates use of credible and relevant resources to support and develop ideas, but these are not always explicit or well developed. Demonstrates use of high quality, credible and relevant resources to support and develop ideas. Demonstrates use of good quality, credible and relevant resources to support and develop arguments and statements. Shows evidence of wide scope within the organisation for sourcing evidence. Demonstrates use of high- quality, credible and relevant resources to support and develop arguments and position statements. Shows evidence of wide scope within and without the organisation for sourcing evidence.